Dorothy (Castaldo) Laflamme 79 of Dartmouth passed away Monday June 4, 2018 at Rhode Island Hospital. 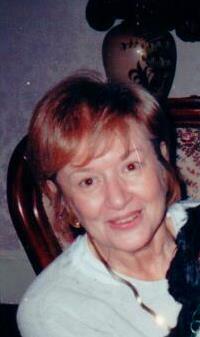 She was the widow of Robert G. Laflamme and daughter of the late Ribello “Dale “and Angelina (Carando) Castaldo. She was born in New Bedford and had lived in Dartmouth since she was 14 years old. Mrs. Laflamme graduated from Annherst College and received her Master’s Degree from UMass Dartmouth. She was a teacher at New Bedford High School and Kinyon-Campbell business school where she became Director of Education. Dorothy was the sister of the late Joseph J. Castaldo of San Francisco. Survivors include her cousin and caregiver Angela Cote, her husband Michael and their children Michael Jr., Bryce and Ezra. She is also survived by nieces, nephews and many other cousins. A funeral mass with her cremated remains present will be said 10am Friday June 22, 2018 at St. Lawrence Martyr Church 556 County St. New Bedford, MA.. Burial will be in Sacred Heart Cemetery. In lieu of flowers, donations in her name, maybe made to the Salvation Army of New Bedford 619 Purchase St. New Bedford, MA 02740.